Most people spend more time every year thinking about where they are going for the end-of-year break than they spend in their entire working lives planning for their retirement. Sounds a bit mad, doesn’t it? It’s worse when you hear that 10X Investments has an online tool that can custom-make a retirement plan in minutes for anyone (not just 10X clients) on a mobile phone or computer. You might think that a half-decent retirement plan was a lot more important than sunny breaks at the seaside, or even the skiing trip of a lifetime, but the evidence shows that preparing for a decent retirement is way down on South Africans’ lists of priorities. No real surprise then that only a tiny percentage of the nation are on course for a dignified retirement. According to National Treasury, a mere 6% of South Africans are on track for a decent retirement. 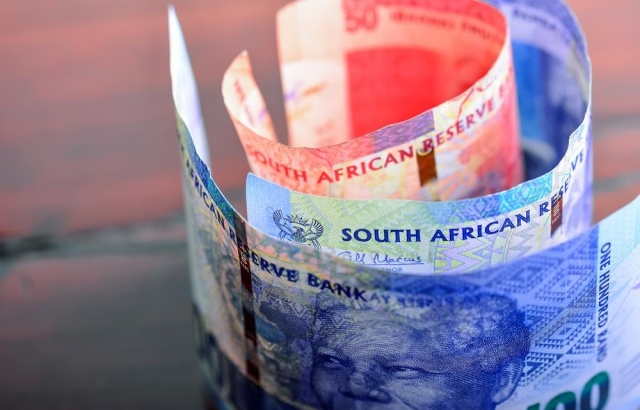 This dire state of affairs was recently corroborated by a new report by 10X Investments, which was based on data from a nationwide survey that sampled the universe of 11.9 million economically active South Africans. 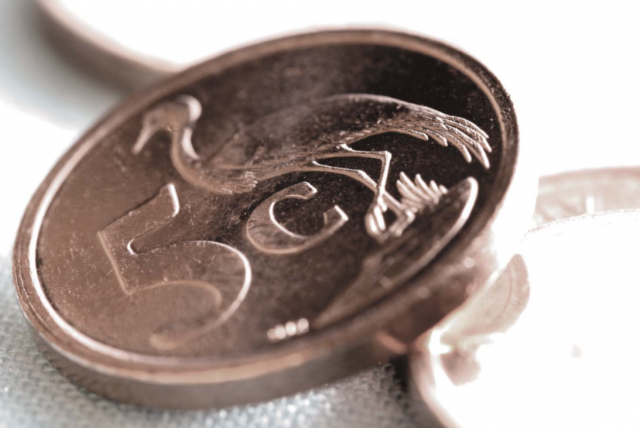 The inaugural annual 10X Investments South African Retirement Reality Report, which was released in September 2018, found that only 7% of people were executing a retirement savings plan that had been properly thought-through. There are a limited number of variables that individuals can control, such as when they start saving, how much they save and what percentage of their savings they pay away in fees each year. 10X Investments stresses the importance of keeping fees down. The disruptive asset manager urges retirement savers to “join the One Percenters at 10X Investments, where paying less than 1% in fees can mean 60% more money at retirement”. For decades, the retirement savings industry has led a largely disengaged public to believe that success depends on near-mythical powers of predicting the future of the stock market, for which they have charged extortionate fees. The damage done by high fees, which eat away at returns, has been compounded by the fact that stock picking, also known as active fund management, is a hit and miss game, with research showing that there are many more misses than hits. 10X Investments has disrupted this space by offering a simple, transparent, low-cost formula for saving for retirement that depends on common sense and index tracking. It also relies on facts rather than predictive powers. The 10X formula for retirement savings success is: Save 15% of your income for your whole working life (around 40 years) and invest your savings in a low-cost, high equity fund. The 10X retirement calculators, available free to anyone who can access the internet, apply this basic formula to individuals’ unique situations to create simple, custom-made retirement savings plans. The calculators allow individuals to input their age, current income, how much they have saved for retirement and what percentage of their salary they will continue to invest for retirement. The plan that is created outlines how much this person would need to maintain their lifestyle in retirement, as well as calculating if they are on track to achieve that at their current savings rate. The plan is available as a detailed document, which they can email to themselves to refer to later, or use to talk through with family or their advisor. Already retired? It is not too late! Once a person has retired, it is as important as ever to make sure their investments are performing as well as possible, and working hardest for them, rather than ratcheting up profits for various service providers. The 10X Investments calculators take the mystery out of investing for retirement, and show people whether their current retirement plan is on course to achieve what they most need it to do, be that to help them retire with dignity or to ensure they do not outlive their savings once retired. Individuals who discover that they are not on track can use the calculators to adjust variables – such as planned retirement age, what percentage of their earnings they are saving, or how much they are drawing down – to find a suitable plan for themselves. 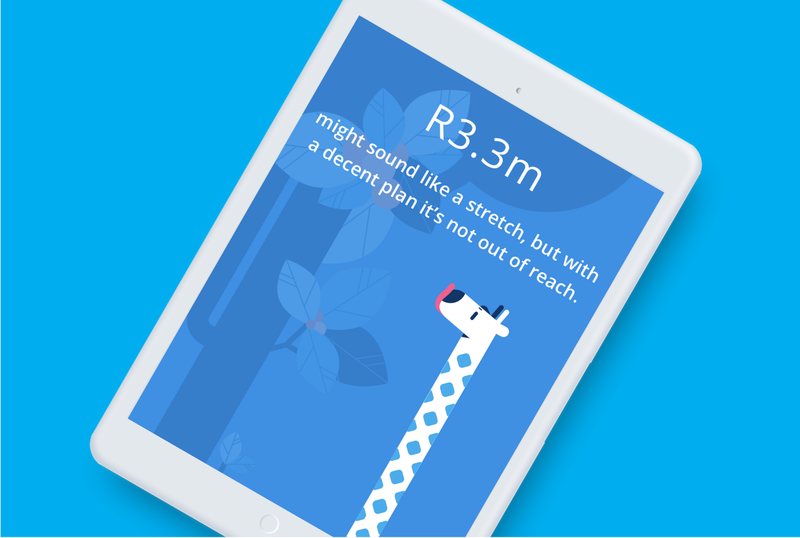 The outcomes are presented in a variety of simple, user-friendly formats – from a giraffe whose neck grows the closer it gets to reaching its goal of eating green shoots at the top of trees, to a simple, traditional graph. For those who are off track, the calculator also gives tips and suggestions for small changes to help them get back on track. 10X Investments’ clients can revisit their retirement plan on the My10X customer portal as often as they like to make changes, or additional payments. They can also adjust variables – such as their planned retirement age, or the percentage of their earnings they are investing – to change their plan to suit their current circumstances and get them closer to their goal. Saving for retirement is likely to be the single biggest investment most workers make, yet few give it as much thought as they do to selecting a holiday. And with no planning at all, retirement is going to be anything but a holiday for so many South Africans. Perhaps you could take just 10 minutes from your next holiday planning session to create a retirement plan on 10X’s easy-to-use calculators. Who knows, after that you might find yourself thinking a staycation wouldn’t be half bad … especially looking at how much your holiday fund would be worth when you retired if you invested it now. Log on to the 10X online calculators and get started on the journey to a decent retirement. Spend less than 10 minutes on 10X Investments’ retirement calculator and take action to make sure you are one of the few South Africans on track to a dignified retirement. This article was published in partnership with 10X Investments.